"Jacob Burkhart wanted to go to New York to finish his senior year off with a memorable experience learning about music and culture in the Big Apple." according to Jenae Hackensmith. 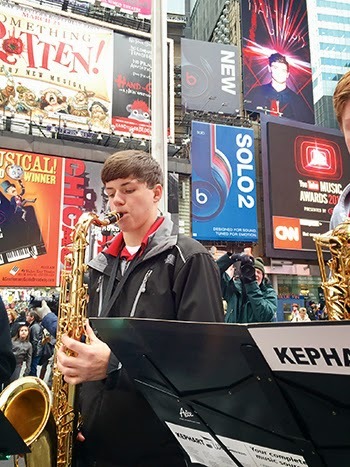 Junior Ethan Morey performs in Times Square with Jazz One during the Austin High School band. Jacob was one of more than 100 Austin High School band students who went to New York City over spring break — March 26 to March 31 — to learn and experience music in a new way. Band director Brad Mariska said organizers have been planning the trip for about two years, since the band, orchestra and choir programs alternate years to take trips. Jacob, a trumpet player, traveled to the city with the orchestra two years ago, and this was a second chance to experience the big music culture of New York. One of Jacob’s favorite parts of the trip was when he saw “Wicked” on Broadway. 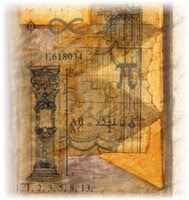 He said anyone who visits the city or has a new experience like this should take chances and make the adventure exciting.